Will Murch with a rhododendron just bursting into flower. 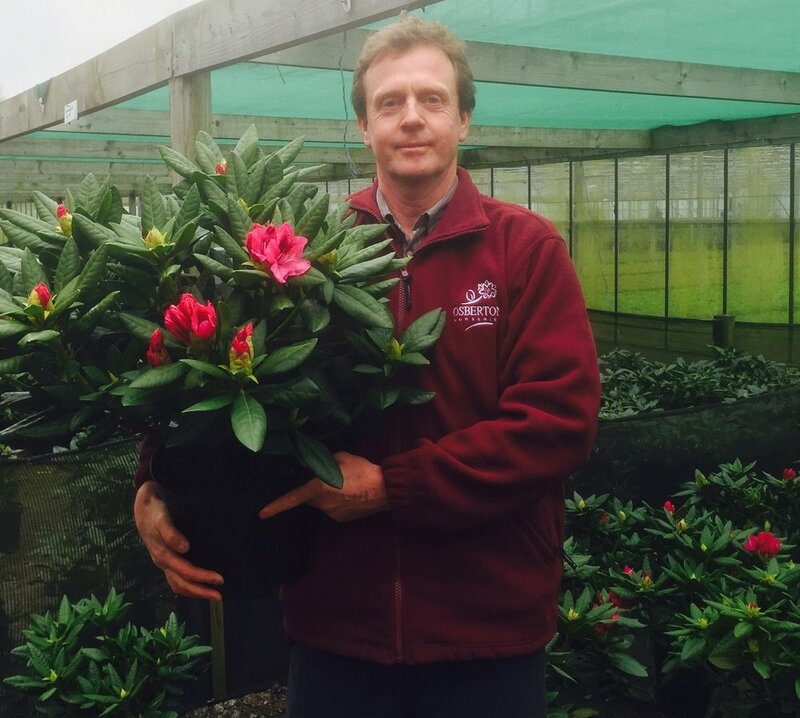 Osberton Nurseries is a family run nursery owned by me, Will Murch, that lies in the heart of Nottinghamshire and has been growing Rhododendrons and Azaleas for over 20 years now. Not only are we passionate about the plants we grow, the different varieties and flower colours and the explosion of flower that occurs here in spring, but equally, if not more passionate about the quality and value of the plants that we sell. Growing Rhododendrons, Azaleas and Camellias takes time and careful handling to produce a great plant and all who work at the nursery are experienced and have become good at this. Chris Bowman taking a last look at a trolley of plants before they head out to garden centres across the country. We always like to know how are plants are doing after they have left the nursery so please contact us or send a photo, we would love to hear from you.